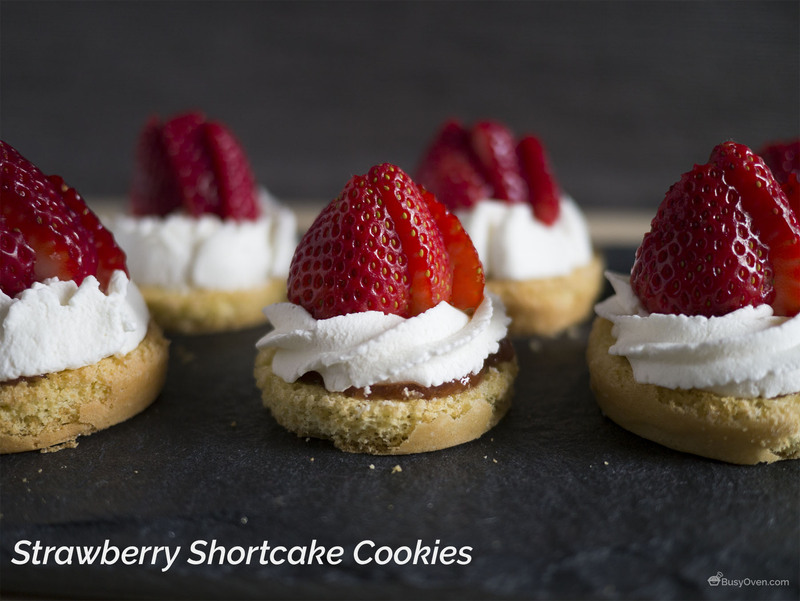 The recipe for these Strawberry Shortcake Cookies has three parts: bake small cakes, make whipped cream, and slice strawberries. Dorie suggested using Strawberry Compote when assembling these tiny cakes, but I opted to use strawberry jam because I was feeling lazy. The cakes were incredibly easy to make, only requiring simple ingredients. The only surprised I encountered was when turning out the cakes from the muffin tins, the edges were really crunchy. I used a small offset spatula to loosen the sides a little, and each time I moved the the spatula to loosen a new spot, I heard a loud CRUNCH. After layering the cake with jam, whipped cream, and strawberries, the cakes softened nicely and were really nice to eat. This recipe is a keeper! Strawberry Shortcake Cookies recipe is on page 322 of Dorie’s Cookies by Dorie Greenspan. Your shortcakes are so cute! I liked these a lot. Beautiful picture. I am glad these are easy. I am looking forward to making these at the end of the month. so pretty! i was too lazy to get out a piping bag but liked these a lot.